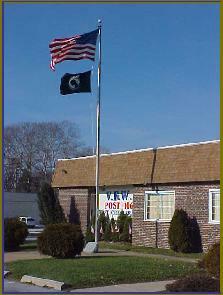 Established and Chartered as a VFW Post in 1946, the post was named for three distinguished heroes – 2 who lost their lives while defending our country, and one who, besides having been awarded 2 Medals of Honor, was one of the most highly decorated Marines in United States history. Smedley Darlington Butler was born July 30, 1881, in West Chester, Pennsylvania, the eldest of three sons, born to a prominent and wealthy family. His parents, Thomas Stalker and Maud (née Darlington) Butler, were descended from local Quaker families. His father was a lawyer, a judge, and for 31 years, a Congressman and Chairman of the House Naval Affairs Committee during the Harding and Coolidge administrations. Born in 1894, and raised in Phoenixville, James Thomas O’Connor left his family, and moved to West Chester at the age of 16. From a very young age, he was a determined young man with a purpose. “Jimmy” – as he was known by his many friends, made his home with the West Chester family of Irwin Shearer on East Gay Street. A barber by vocation, he quickly made a name for himself, and was one of the most ambitious, and popular men in town. September 29, 1920 to John J. and Hannah V. McCormick who lived 142 West Market Street in West Chester, Pennsylvania. Edward was one of three sons including John Jr., and Henry. His father, John, was a local contractor who died in 1939, when Ed was 19 years old. Edward attended St. Agnes Catholic School on West Gay Street in West Chester.